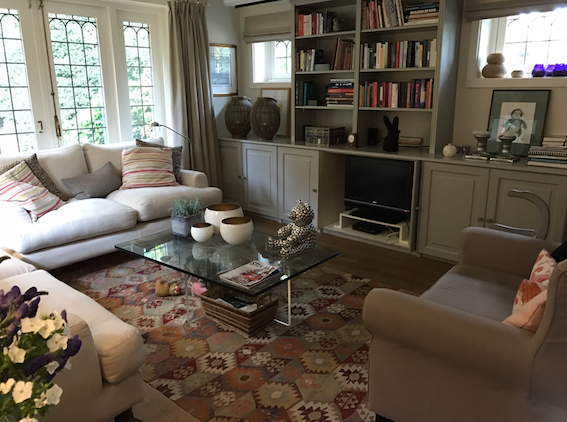 Farrow & Ball French Grey painted cabinets, off-white sofas and a beautiful antique Tavas kilim from TRŌVE. Some cushioncovers and this beautiful gardenroom is ready for fall...! This bright red sofa, off-white chair and zig-zag kilim from TRŌVE make a perfect fit! 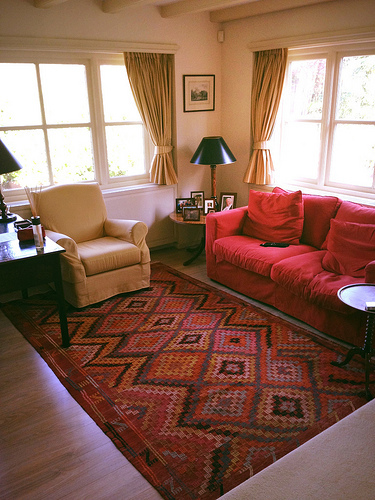 This one-of-a-kind antique kilim from Malatya found a lovely home. make a great combination. Design By Floor van Wijlandt. Add a dash of colour to your study with some beautiful cushions of TRŌVE. A bunch of colourful TRŌVE cushions on a daybed in Singapore. Work in progress to find the perfect kilim. 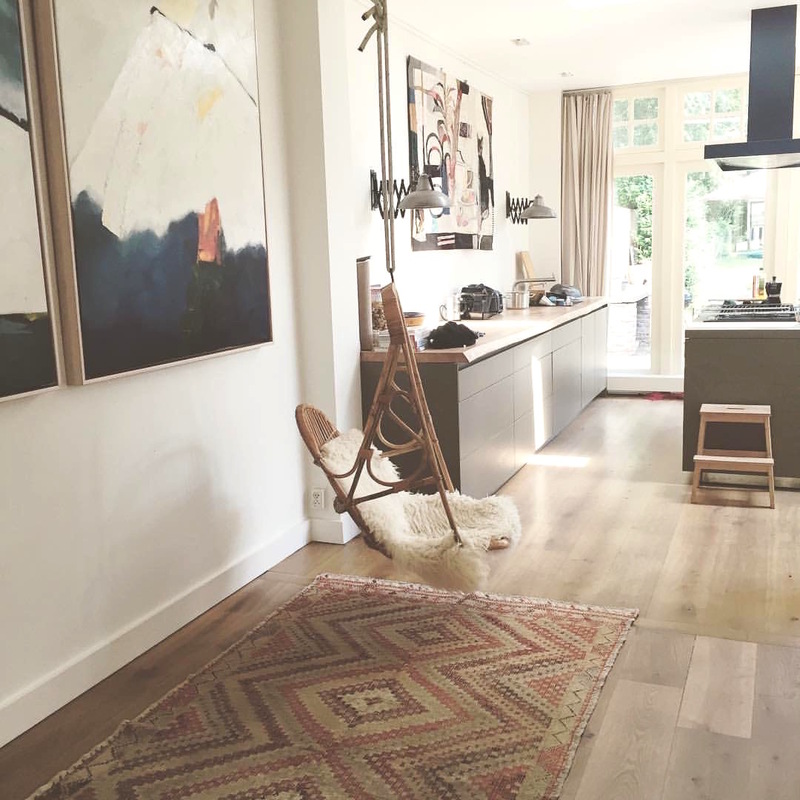 Another beautiful example of a vintage kilim of TRŌVE hanging as a piece of ART. 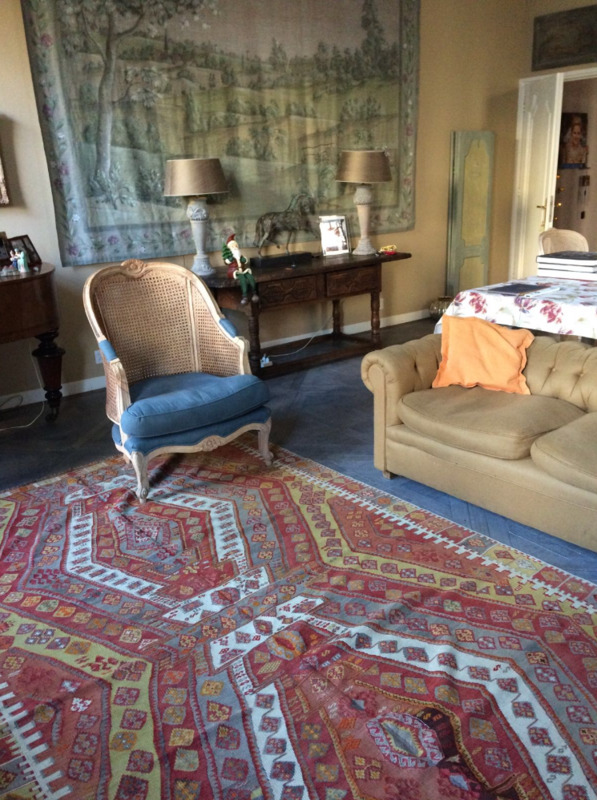 Love the eclectic combination of an antique kilim and vintage Tuareg mat. Both pieces from TRŌVE. Inspired by the interiors of the Belgian designer Geoffroy van Hulle. 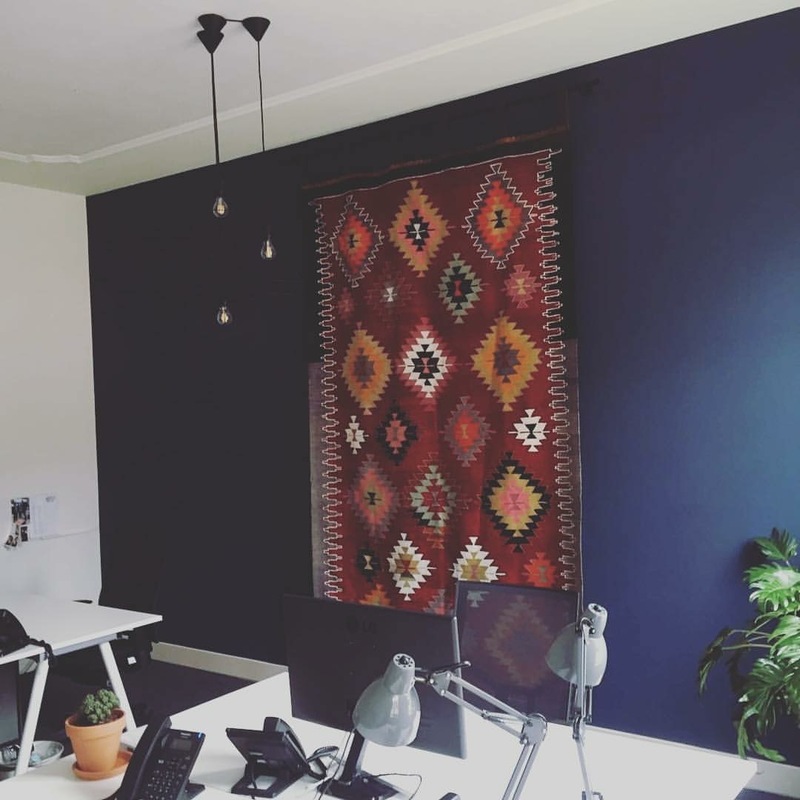 Spice up your office by hanging a vintage kilim of TRŌVE on the wall. You'll instantly feel at home while actually being at work. Interior design by Floor van Wijlandt. The word TRŌVE means ' a collection of valuable and desirable objects, discovered or found'. Our latest TRŌVE is this beautiful vintage headplanter. Filled with fresh Sinia's from grannies garden. Beautiful Kuba cushions of TRŌVE. Custom-made in various colours and prints. Nowadays, the kitchen is the heart of our homes. Add warmth and comfort with a stylish kilim rug of TRŌVE. Check out this beautiful piece from Kuprubasi. A stylish city home! Take a look at this cosy nook in the kitchen area with two Axel Vervoordt kind-of-chairs and a beautiful vintage Kuprubasi kilim from TRŌVE. Steel doors, silver coloured grass wallpaper and a colourful Kuprubasi kilim; a combination that shines! An all-time favourite: this Antalya kilim with eggplant purple and churlish green. A real treasure for this sweet interior. will make your interior look stylish and stunning. Spice up your dressingroom with a vintage kilimrunner from TRŌVE. A beautiful interior. Love the combination of pumpkin-coloured blinds, the black leather chairs and the faded colours of this vintage kilim of TRŌVE. A room filled with beautiful pieces. Check out the eye-catching Kuba cushion from the new collection of TRŌVE. 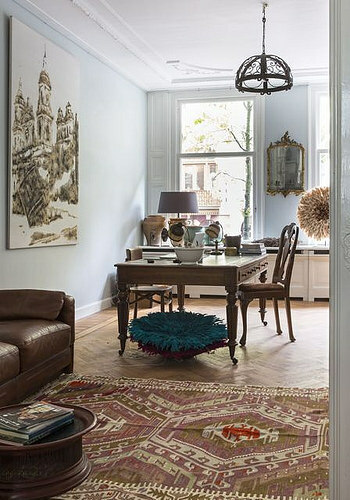 A beautiful Barak kilim from TRŌVE in an apartment filled with design and objects of desire. 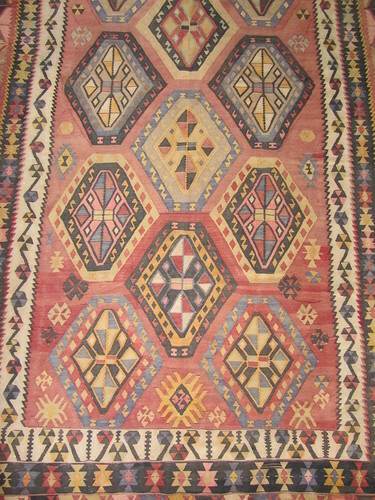 beautiful vintage kilim from Sivas, Anatolia. Just beautiful! Time to create a cosy corner with a beautiful vintage kilim, a piece of Cole & Son wallpaper and a smashing chandelier! A beautiful combination of coral, aqua and taupe. 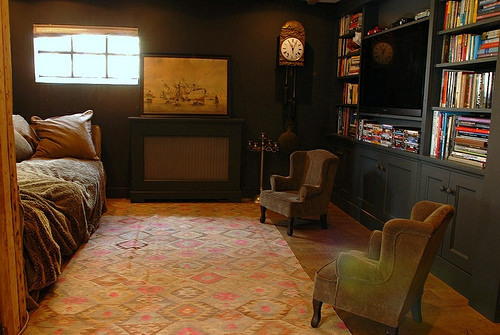 Instead of using a vintage kilim as a rug, you can also create a one-of-a-kind ottoman. 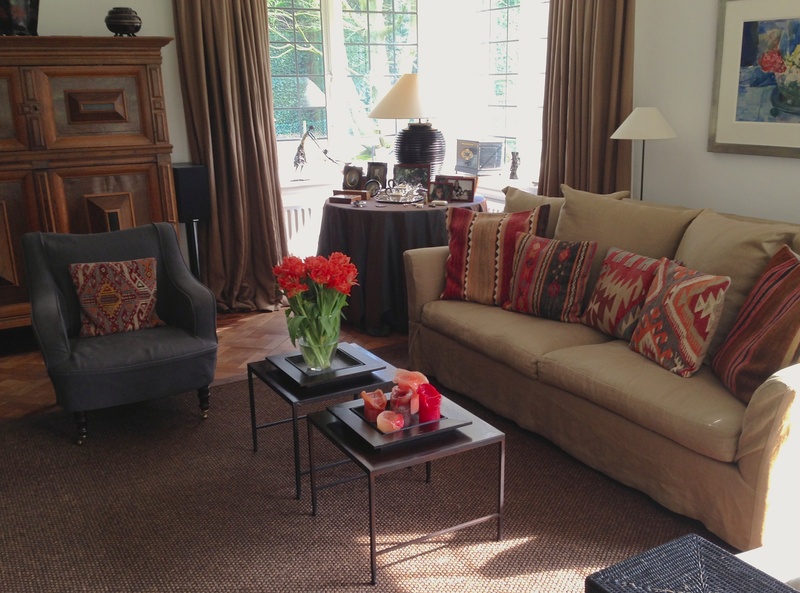 Take a look at this beautiful centerpiece made from a Selendi kilim from TRŌVE. 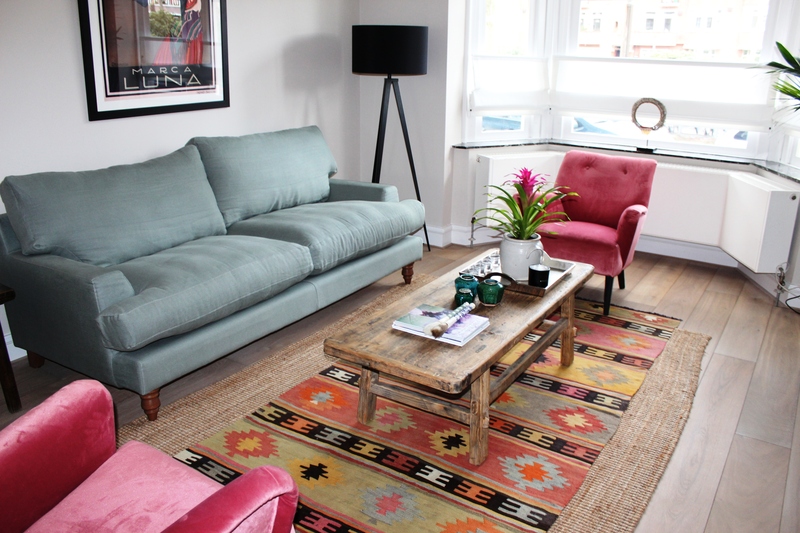 Bring a splash of joy to your room by adding a colourful kilim of TRŌVE. Oolala! What a picture-perfect setting is this! 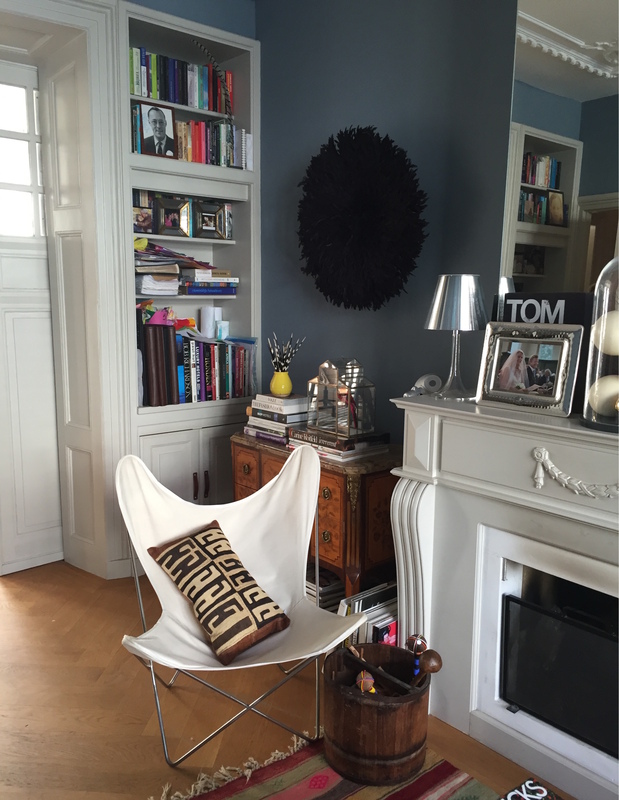 Farrow & Ball Hague Blue walls, an olive green leather chair and an amazing Kuprubasi kilim from TRŌVE. Another inspiration interior designed by Mabella Artisans. 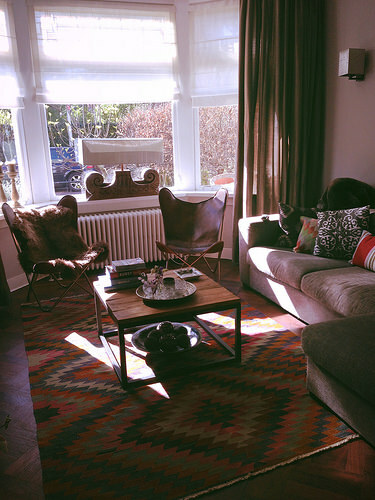 Some neutral design pieces and a beautiful kilim from Maras to add colour, texture and pattern. 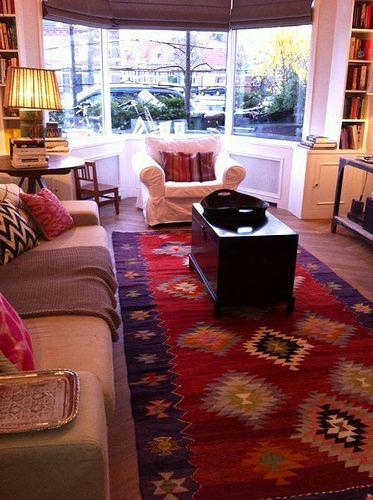 At TRŌVE we love kilimrugs with lots of colour and bold patterns and luckily for us more people do! Instead of covering the wooden floorwith a rug, this client decided to mix & match some kilimcushions in different sizes, patterns and colours. The effect of the variety of pieces with the celadon green sofa is stunning! Here are some beautiful examples of old pieces re-upholstered with one-of-a-kind vintage kilimtextiles of TRŌVE. Aren't they cute..?! 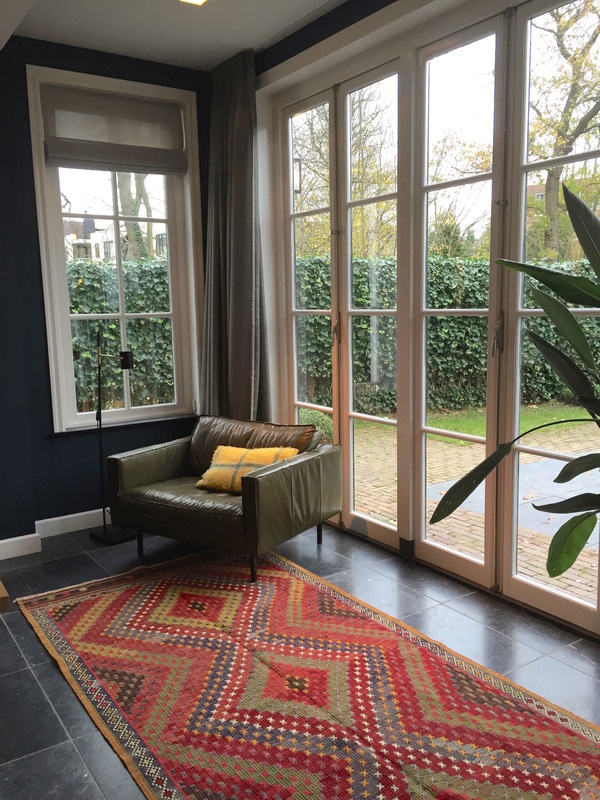 This beautiful Küprübasi kilim found a lovely home. The perfect choice for a pretty and timeless interior! 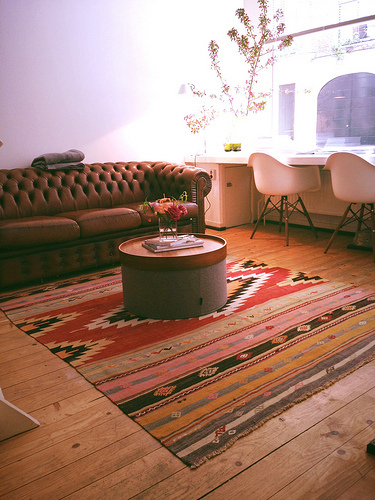 Sometimes a customer falls in love with a kilim of TRŌVE which is actually a bit narrow. Please get inspired by this perfect solution: place the kilimrunner on a large sisal rug and problem solved! A vintage Küprübasi kilim with earthy tones in a beautiful room, designed by Marbella Artisans. 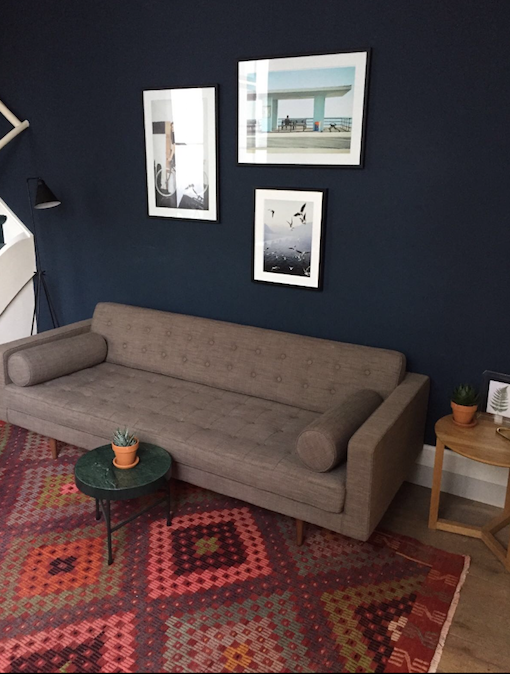 Please get inspired by this beautiful interior: a couch and Bergère chairs covered in a blue-grey linnen, some antique Delft blue tiles and an amazing vintage kilim from TRŌVE to add comfort, colour and structure to the room. Don't forget the pastel coloured kilim cushions for the finishing touch! A colourful vintage Küprübasi kilim from TRŌVE and rustic oriental pieces make a beautiful, timeless combination. 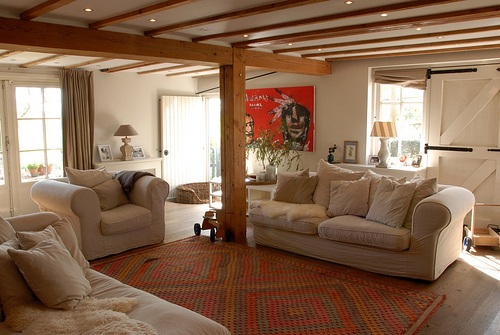 Spice up your livingroom by adding a large amount of kilim cushions in various patterns and earthy colours. You'll be happily surprised by the effect! Bring colour and texture to your hallway by adding a rich patterned kilim from Esme and an antique Han vase-lamp. 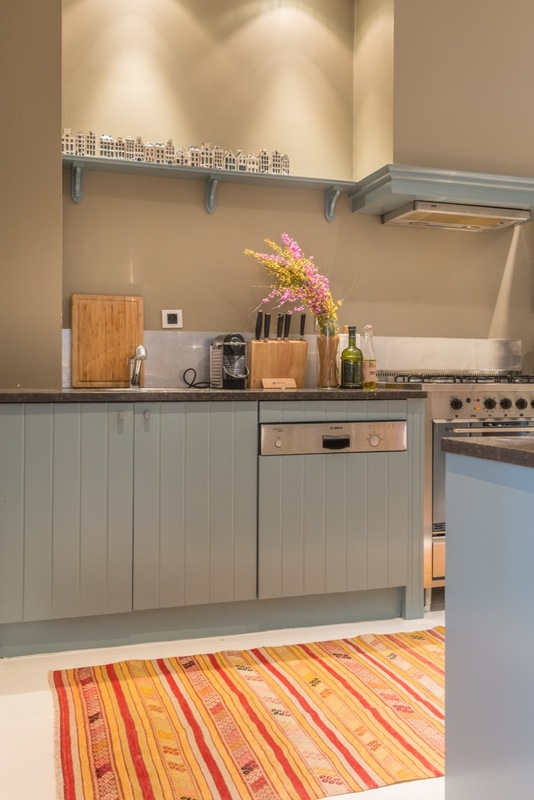 Ever thought about putting a vintage kilim in your kitchen? Get inspired by this example of a beautiful Helvaci kilim runner of TRŌVE in a kitchen designed by Mabella Artisans. 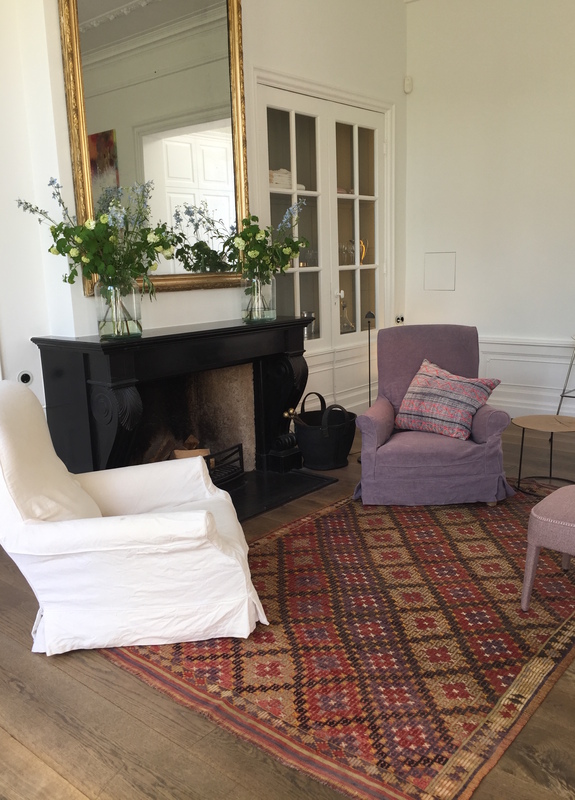 Pastel colours, antique furniture and a beautiful old Kaiserie kilim from TRŌVE. This picture is used to promote Fortunata in Nouveau Magazine, September '14. 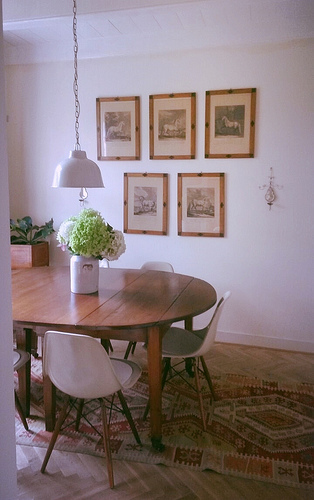 Vintage Eames chairs, antique sketches and wall sconces from France and an amazing kilim-runner from Kaiseri. Traditional colours and furniture come to life by adding a Küprübasi kilim from TRŌVE. 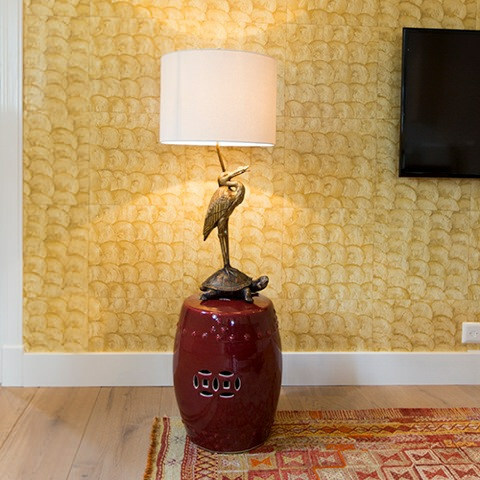 See how design and colours of this piece blend in seamlessly, providing comfort and personality. 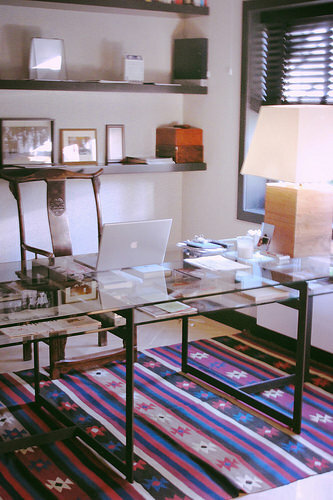 A beautiful office with Danish design & a vintage kilim from Denizli. Dark walls, lots of cushions, a faux-fur blanket and a colourful vintage Tavas kilim from TRŌVE: the perfect hide-away for a cosy evening or lazy afternoon. Wooden beams, neutrals and a vintage Köprebasi-kilim from TRŌVE. Create a stylish, but cosy corner by adding some vintage Butterfly chairs and this colourful kilim from Isparta. 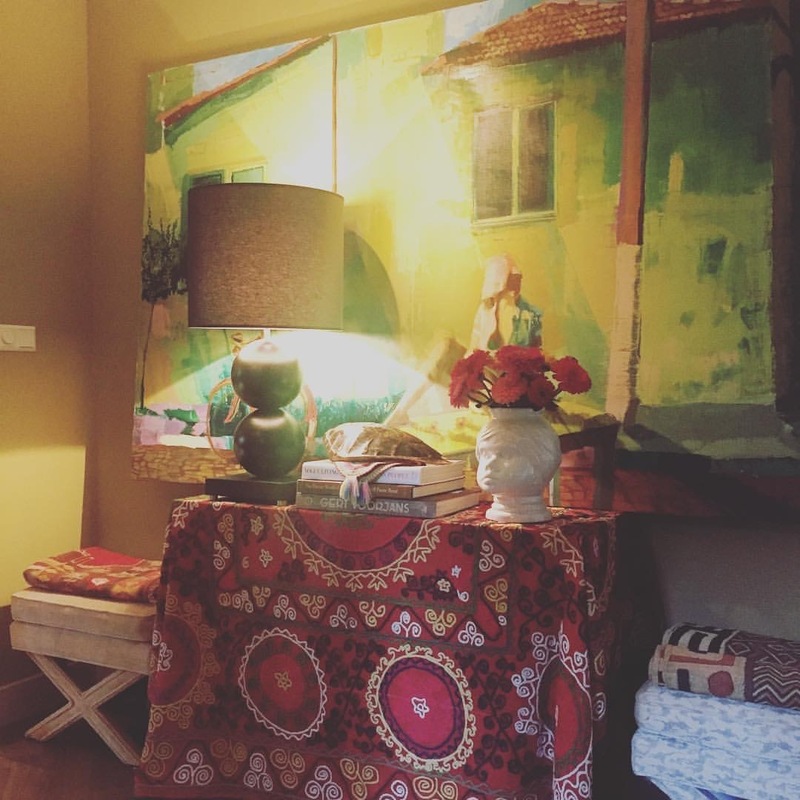 The Chinese garden seat, the brass lamp and this beautiful vintage kilim from Özdemir give this apartment color and style! A glass desk designed by Cees Dam, an antique Chinese chair and a sparkling kilim from TRŌVE to add flair to this amazing study. 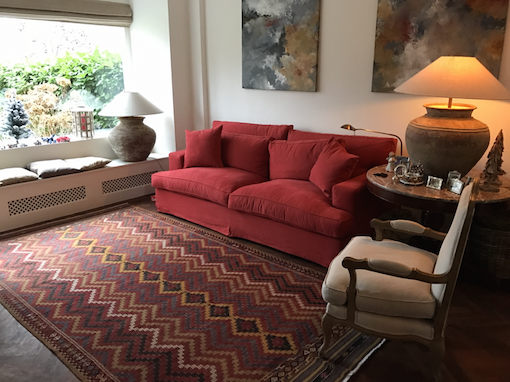 See how this vintage kilim from Küprübasi gives a bold punch of intense colour to this room. Love!